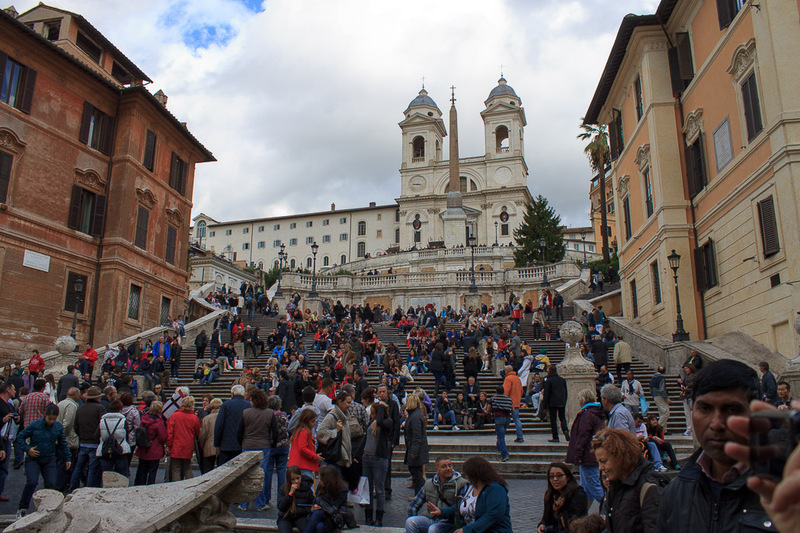 The Spanish Steps are a monumental stairway of 138 steps over 12 different flights and 3 landings linking the Piazza di Spagna at its base with Piazza Trinita dei Monti at the top. It is the widest and longest stairway in Europe, and serves as a gathering point; the stairway is often jammed with people sitting and talking, relaxing, or just people-watching. The stairway climbs the edge of the Pincian Hill in an irregular but symmetric structure of straight segments, winding segments, branches and railings. At the top is the Trinita dei Monti church with the Sallustian Obelisk in front of it, and Villa Medici just a short distance to the left. At the bottom is Bernini's Sinking Boat Fountain. 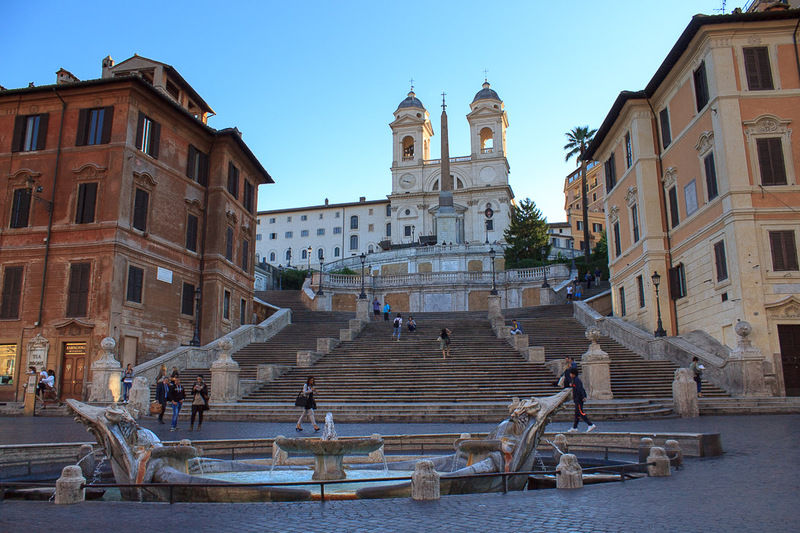 As far back as the 1580s, there was interest in creating a starway leading up to the Trinita dei Monti church. After a design competition in 1717, the steps were designed by Francesco de Sanctis and Alessandro Specchi, and they were built between 1723 and 1726. During the Christmas season, a 19th century crib is displayed on the first landing of the Spanish Steps. In the springtime of each year, the Spanish Steps are covered in flowers, and the architecture plays second fiddle to the spash of color. 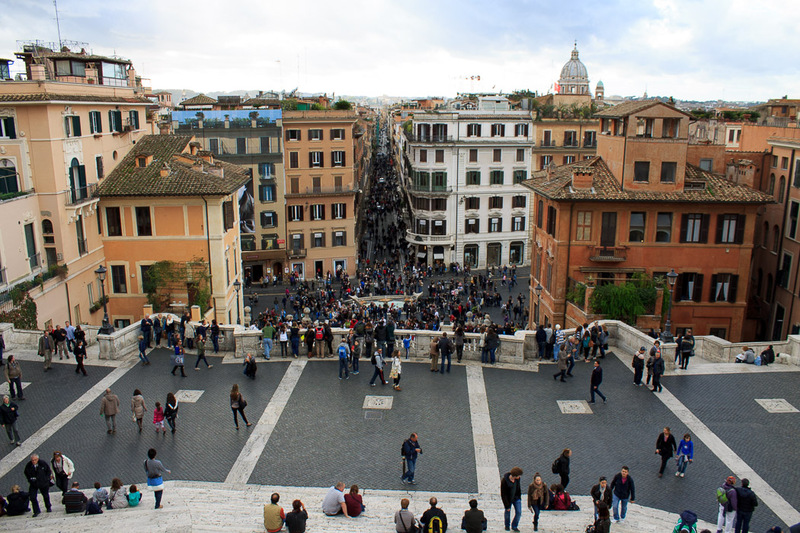 Some of the most expensive shopping can be found in the shops at the bottom of the Spanish Steps, and a beautiful view to the west can be had from the top. 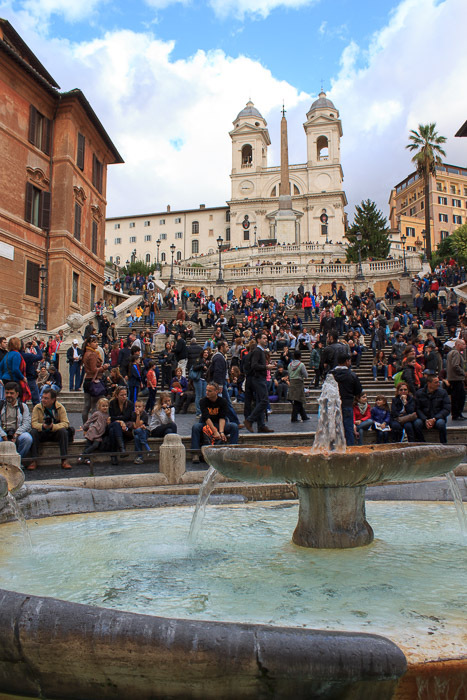 See all Spanish Steps photos.